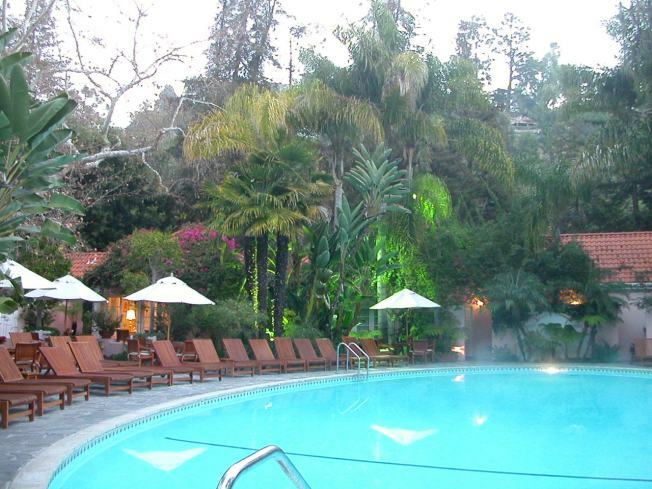 After nearly two years of extensive remodeling, the Hotel Bel-Air will reopen in July 2011, it was announced. Two design teams, Alexandra Champalimaud and Rockwell Group, are collaborating on the renovation. Most of the historic elements of the hotel are being restored, while adding classic contemporary fixtures and state-of-the-art technology. Champalimaud was commissioned to set the design style for most of the interiors and exteriors, including a new reception and boutique, new lobby lounge, all 103 guestrooms and suites, the spa and three guest lofts located within the new 12,000-square-foot spa building. Champalimaud also worked closely with the landscape designer on the hotel's 12 acres of gardens and designed a dozen new hillside accommodations featuring canyon views, sliding glass walls, outdoor fireplaces and decks with private infinity edge spa pools. All of the guestrooms and suites will have larger bathrooms with a separate shower and bath and heated floors. There will be seven individually designed specialty suites, including the Grace Kelly Suite and a new Presidential Suite compound with 6,775 square feet of indoor and outdoor living space. The hotel's original oval pool will remain the same, with the added feature of underwater acoustics. Rockwell Group is restoring the dining environments and several public spaces, including the hotel bar, restaurant and terrace, grand ballroom, executive boardroom and public washrooms. The famed hotel bar is being extended into the outdoors with the addition of two "garden niches," while keeping its cozy club feeling inside with a grand piano and familiar wood paneling.